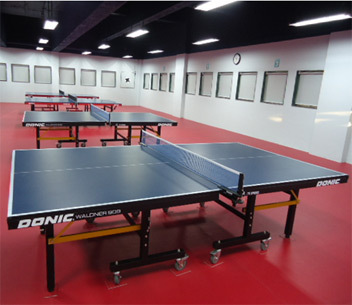 The Table Tennis hall is 1800 sq ft developed on 5th floor of the main building. The hall is equipped with 4 Tables of Metco make. There are 4 changing rooms, 2 for gents & 2 for ladies. The Coaching Academy is functioning under the guidance of Shiv Chhtrapati Awardee Shri. Rohit Chaudhary from February 2016. All the details regarding rules, fees structure etc is available at the reception counter. The Coaching Academy is functioning under the guidance of Shri. Upendra Mulye from February 2018. All the details regarding rules, fees structure etc is available at the reception counter.